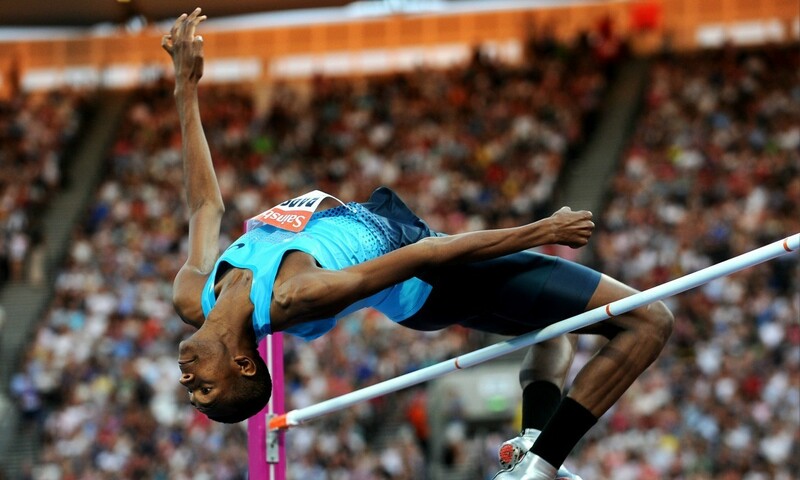 Mutaz Essa Barshim and Bohdan Bondarenko will renew their rivalry on Sunday (May 17) as Diamond League action continues in Shanghai. World and European champion Bondarenko was a late addition to the high jump field and as well as going up against world indoor champion and overall 2014 Diamond Race winner Barshim, he will face the likes of Olympic silver medallist Erik Kynard and his fellow American Jesse Williams, the 2011 world champion, plus China’s Zhang Guowei. Barshim sits second on the world all-time list behind the great Javier Sotomayor with his 2.43m Asian record, while Bondarenko is just behind him with his 2.42m best. Whenever either athlete competes, the possibility of a rare jumps world record is never too far away. In other jumps action, Britain’s Olympic long jump champion Greg Rutherford goes up against Russia’s world champion Aleksandr Menkov, USA’s world leader with 8.50m Jeff Henderson and fellow Brit Chris Tomlinson. A top women’s 100m field includes the likes of Olympic and world champion Shelly-Ann Fraser-Pryce, who runs her first 100m of the year in Shanghai, as well as Blessing Okagbare, Tori Bowie and Veronica Campbell-Brown, while Olympic 400m champion Kirani James and world champion LaShawn Merritt continue their tight battle for the mantle of the world’s best one-lap runner. Kaliese Spencer and Caterine Ibarguen, the undoubted world No.1 athletes in the 400m hurdles and triple jump respectively last year, look to continue their dominance in their respective events. In the men’s sprint hurdles, which is the last event on the programme, Olympic champion Aries Merritt takes on world champion David Oliver and China’s Xie Wenjun. World and Commonwealth champion Eunice Sum goes in the 800m, while Agnes Tirop, the world cross-country champion, is entered in a high-class 5000m field. Commonwealth steeplechase champion and last year’s Diamond Race winner Jairus Birech also competes in Shanghai. In the javelin, world champion Christina Obergfoll competes for the first time since giving birth last year, while Piotr Malachowski and Gerd Kanter are among the discus entries and Christina Schwanitz and Lijiao Gong feature in the shot. Silas Kiplagat, who ran 3:27.64 to go fourth on the world all-time list last year, heads the 1500m line-up. The 200m features five athletes who have run below 20 seconds, including 2014 Diamond winner Alonso Edward.